It turns out that reality doesn’t bite after all. At least it doesn’t for Lisa Loeb, who on her latest album, No Fairy Tale (429 Records), maintains that everyday blessings are ultimately more fulfilling than any fanciful illusions. Such optimism is bolstered by a slick, power-pop production courtesy of New Found Glory’s Chad Gilbert, who encouraged Loeb toward an edgier sound throughout the making of the album. "It was nice working with somebody who knew exactly what they wanted to hear," says Loeb. "He came in with lots of ideas, a lot of already formed ideas, which was really cool." It’s her first pop album since becoming a mother—Loeb and her husband, Conan Music Production Supervisor Roey Hershkovitz, welcomed a daughter in 2009 and son in 2012—and it's seemingly this distinction which has most inspired her to engage her artistry from a fresh perspective. Has having children changed the way you write songs? I think I feel more freedom to just write whatever I want. The kind of advice I would give my kids if they wanted to write music or be creative, I’d really encourage them to write whatever they want, not worry about what everybody else thinks. It’s more important to make things and express yourself, between being able to continue to embrace my independence—the fact that I’m an independent artist; that I can make the different kind of records that I want; that there’s not people expecting anything in particular—and also just realizing that’s what music is for: to express yourself and say whatever you want. I think having kids just makes me keep even more of an eye on that, [to] make sure that I do things from my own point of view, from my own way. I’m always striving to be a better writer and to continue to explore different topics, but also I think it’s important to embrace what I already have and what I already do. And I think that comes from having kids. So you have a different perspective. Yeah, and it’s also so important as a writer—whether you’re a seasoned writer or somebody who’s just starting out—to let yourself take the time to explore and to write a lot to get to where you need to be. It doesn’t come out perfect the first time. It’s really important to have that, to understand that, and to accept and embrace that as a part of a creative process. I think that’s something that I would tell somebody who says, “Hey, I want to learn how to write a song.” I would tell them the same thing. I would say, “You need to just start writing. And you need to know that the perfect song is probably not going to come out right at the beginning of the process." I was going to ask if you can perceive any evolution in your songwriting over the years, but that’s probably it, right? It’s more the process than the actual content, the ability to live in that space where I’m continually pushing myself, but at the same time trying to accept what I’m doing also. No. I won’t live with the first thing, although often when you capture that first thing there’s something magical about it. Again, being able to learn about that process and know that’s part of the process, to be able to live with that but not settle with that, just to walk away with it and come back to it. The frustrating thing is when you find out six, seven months later that what you'd written originally was what you wanted all along. Exactly. You just have to stay on it and try to get it together. It’s hard sometimes. 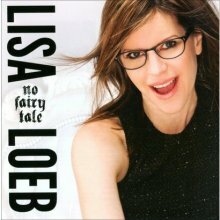 No Fairy Tale is available now on 429 Records. 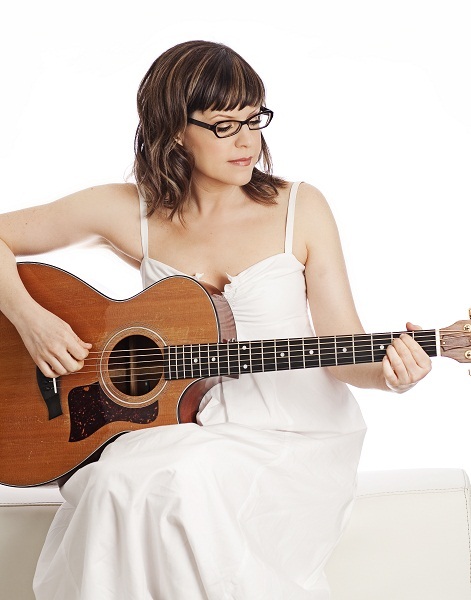 For more information on Lisa Loeb, please visit the artist's official website.